A man who admitted faking records to hide faulty Silver Line concrete panels was sentenced Friday to a year and a day in prison along with a significant financial penalty. WASHINGTON — A man who admitted faking records to hide faulty Silver Line concrete panels was sentenced Friday to a year and a day in prison along with a significant financial penalty. Andrew Nolan appeared in federal court in Alexandria, Virginia, where a judge also sentenced him to three years of supervised release. Nolan had previously admitted to recording false results for concrete quality tests that he knew would have required the panels be trashed. Court records indicate that Nolan is cooperating in the investigation, so he may not end up serving the time. As part of the sentence, he is required to pay $700,567.11 in restitution to the Metropolitan Washington Airports Authority through monthly installments of $150. At that rate, it would take more than 389 years for Nolan to pay the full restitution amount. Nolan also last week agreed to pay $700,567.11 as part of the related whistleblower lawsuit against the company that is led by Nolan’s uncle. The lawsuit is now backed by federal prosecutors and the state of Virginia, who have sought to file an updated version of their lawsuit next week. Universal Concrete Products, a Pennsylvania company, was a subcontractor that made concrete framing panels for the Silver Line stations under construction west of Wiehle-Reston East. They blamed rogue and disgruntled employees for the problems. Because of the faulty work, those panels must be regularly coated with sealant for coming decades in order to ensure they remain sound. 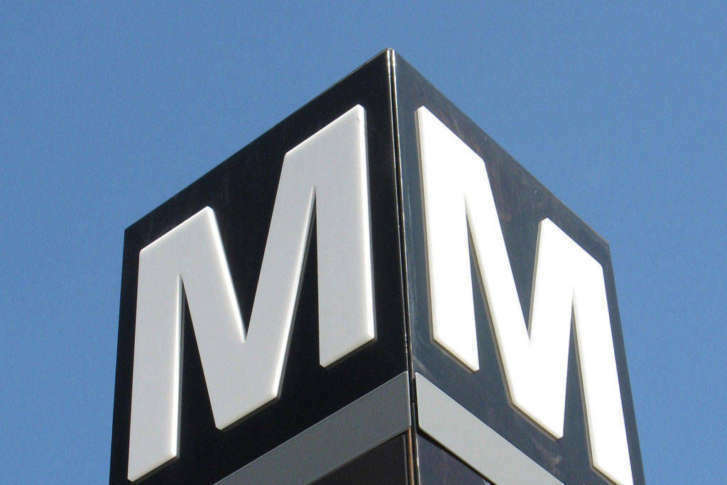 The Metropolitan Washington Airports Authority is overseeing construction of the second phase of the Silver Line, which is now expected to be transferred to Metro and opened to riders around 2020.